Off the coast of Puerto Morelos property is modern, Azul Villa Esmeralda. The private villa beachfront offers guests six full bedrooms, living rooms, family rooms, a Bose home theater, heated pool, spa and gym. 11,000 sq. ft. The villa is decorated in an elegant and contemporary amenities and services that please you are truly unique and luxurious. The experience starts with the signature Champagne Blue Hotel check-in, including a refreshing towel service, followed by selection of pillows and aromatherapy menu, all orchestrated by personal customer Butler (Butler). In addition, a personal chef prepare authentic cuisine, including fresh fish, local or other culinary request made by guests. A few steps away sand, guests can enjoy full access to the services of Playa Azul. Guests also have the option of having a golf cart service free at the hotel. The Riviera Maya offers a wide range of activities, including world class exclusive championship 18-hole golf courses, just minutes away. The region also offers ecological parks like Xcaret, Xel Ha, Xplor and numerous "cenotes" or caves that are popular places for diving and snorkeling. Experience a new level of luxury beachfront villa with spectacular Riviera Maya, which redefines pampering, relaxation and indulgence. -Cancellations submitted 120 days prior to arrival will be charged the equivalance of 1 night stay. -Cancellations submitted 90 days prior to arrival will be charged the equivalance of 2 nights stay. -Cancellations submitted 60 days prior to arrival will be charged full stay. Cancellation policy will apply accordingly. No Shows for royal GI. In the event of a no show, guests who pre-purchased a Royal Gourmet Inclusive plan will pay the full amount of the package. A $5,000 deposit must be issued at the time of booking, this deposite will be held and will only be processed after 15 days from the time of booking. Guests may cancel without penality within these 15 days. Payment for A weeks: full payment must be issued 120 prior to arrival. Payment for B weeks: Full payment must be issued 60 days prior to arrival. Payment must be made in US dollars and must indicate: Client name, Villa's confirmation number, arrival date, departure date, number of guests. 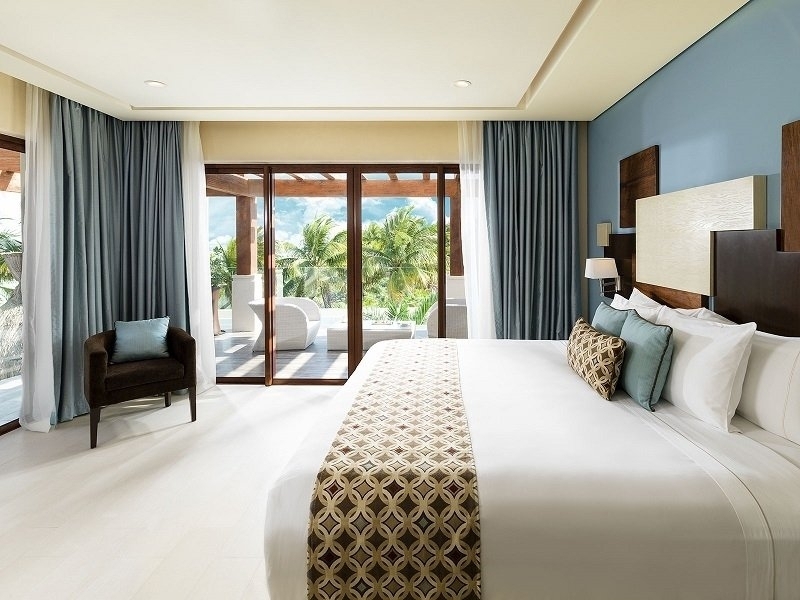 If guests do not arrive on the confirmed arrival date, guest will need to inform the hotel of their new arrival date and will be entitled to the remaining nights in the reservation. Additional nights will be considered as a new booking, standard rates and conditions apply. A $10,000 damage deposit is required 48 hours prior to arrival of the guest. KHR will issue a notification email to the guest stating that the deposit has been approved. The damage deposit will be. The interior design combines elegant modern patterns with local hardwood such as Tzalam, Chechen and a variety of natural, exotic stones. The six spacious bedrooms all feature large LCD Flat Screen TVs, a Bose sound system and full access to the private, state of the art media server, where guests can listen to any an infinite playlist of music, watch the latest in the news, movies and TV shows at any time. Further, each room comes equipped with an electronic safe, hairdryer, bathrobes, slippers and personal care amenities. In addition to the above-mentioned amenities, the 1000+ sq. ft. Superior Master Bedroom comes with a comfortable living area with a spectacular ocean view, its own private terrace (600sqft. 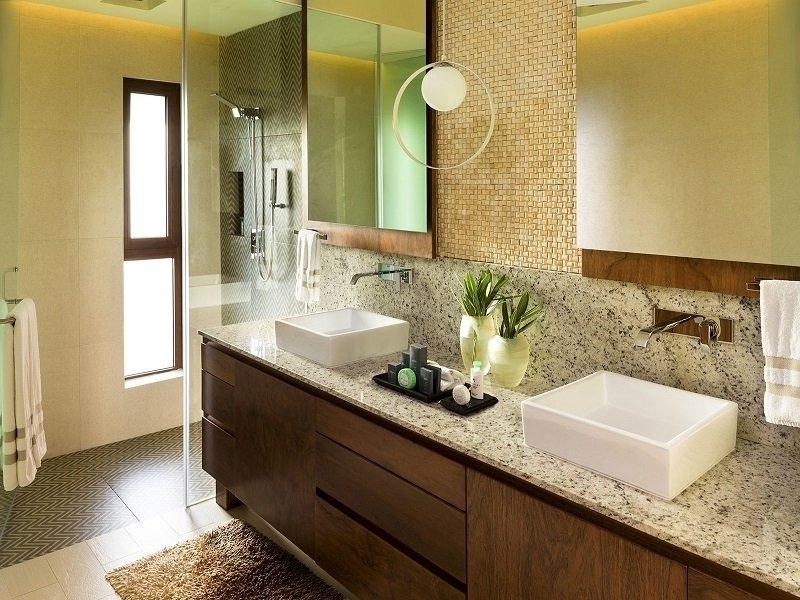 ), and a white ceramic bathroom with double sink. 500+ sq. 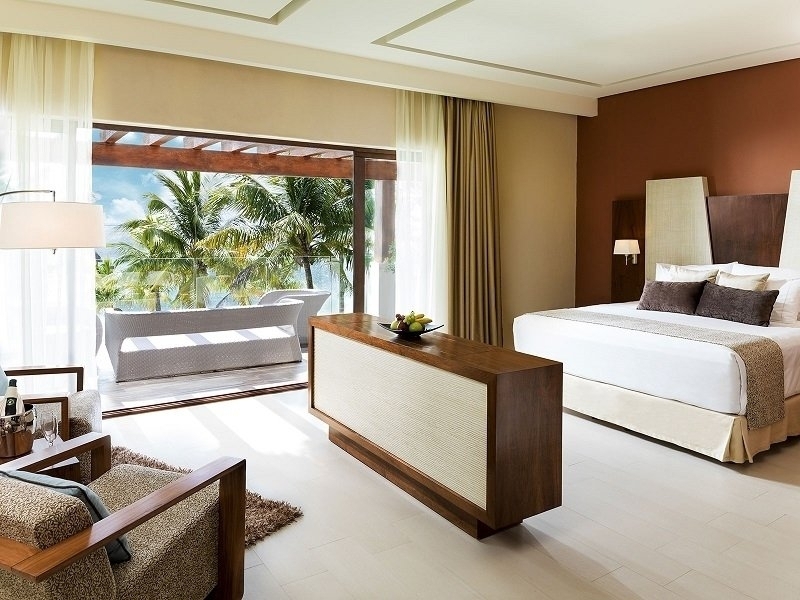 ft. Master Bedroom offers a spectacular ocean view and has its own private terrace (200 sqft. ), a beautiful white ceramic bathroom with double sink, an indoor-outdoor "aguas del amor" (romantic shower). The selection ofKing size bedrooms (over 300+sqft.) have an amazing view of the turquoise waters of Puerto Morelos, from the room and private terrace. Comfortably located right next to the family room is the classic bedroom (over 300sqft.) equipped with two queen size beds and bathroom with double sink and walk-in rainforest shower.